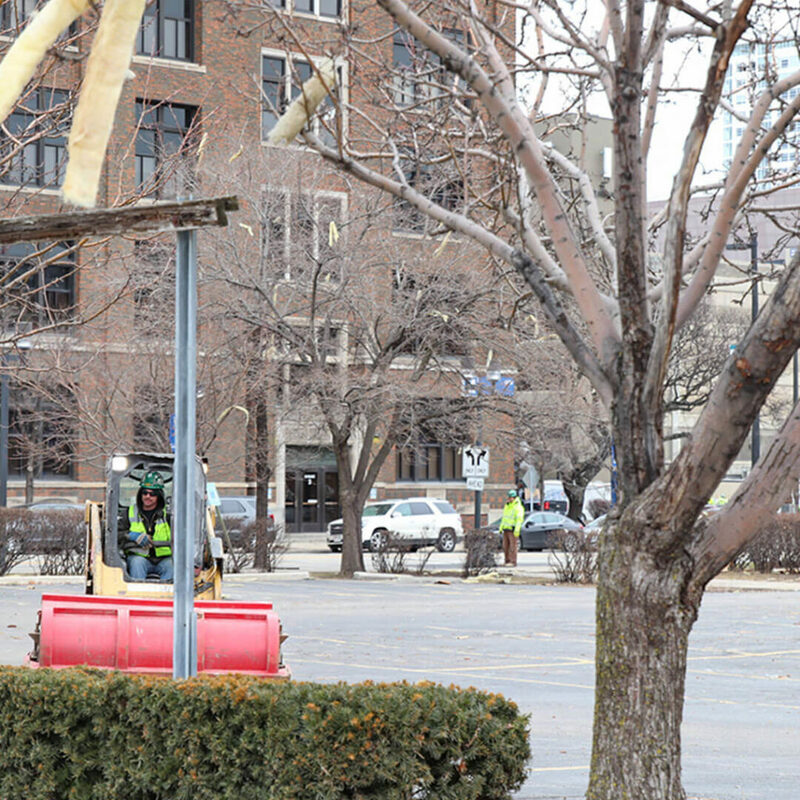 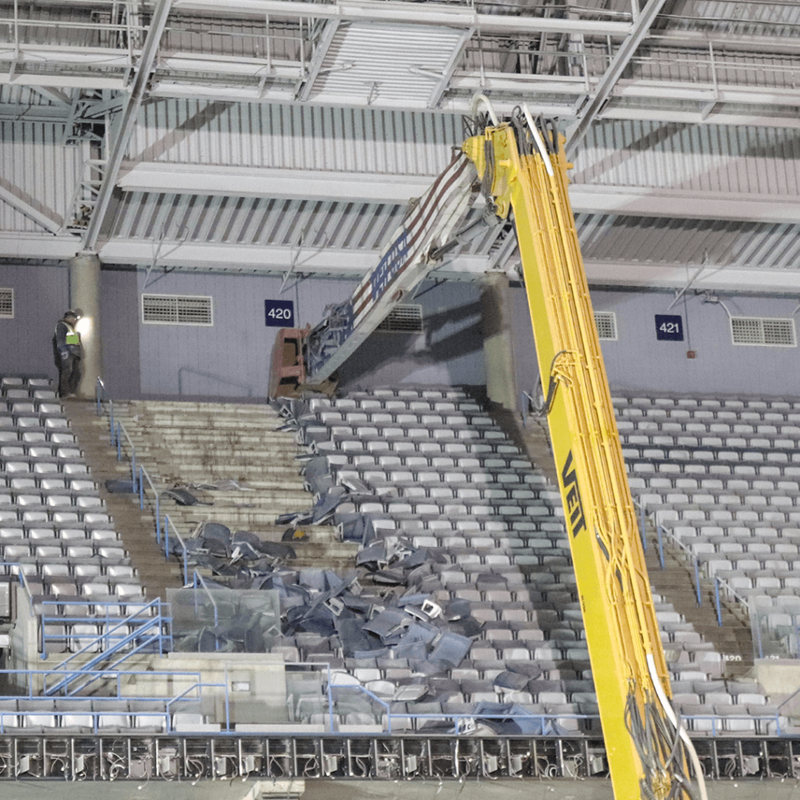 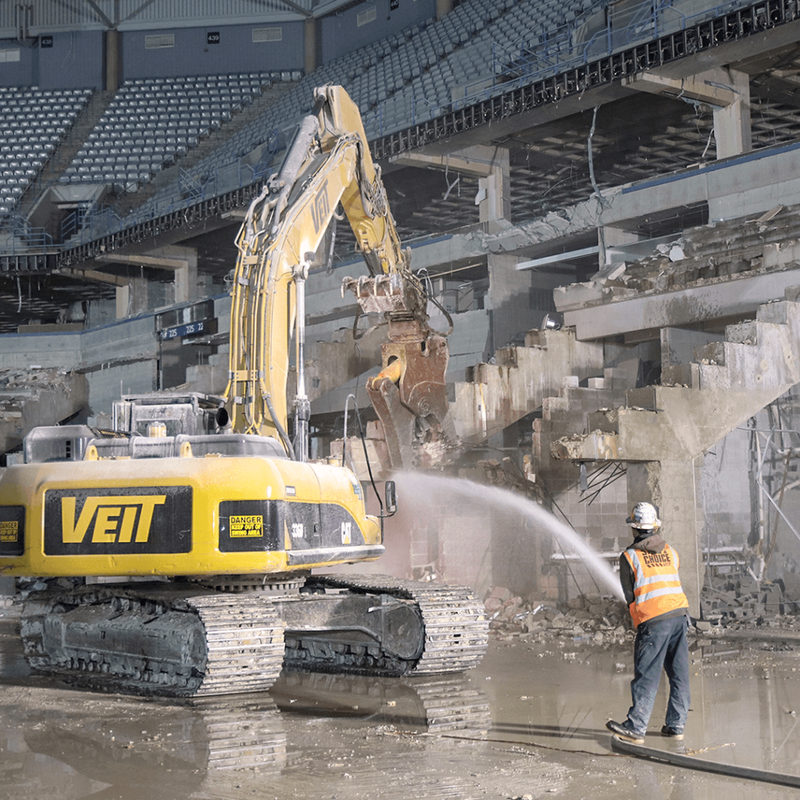 Local 139 Operators employed by Veit & Company, Inc played a crucial role in the demolition of the Bradley Center. 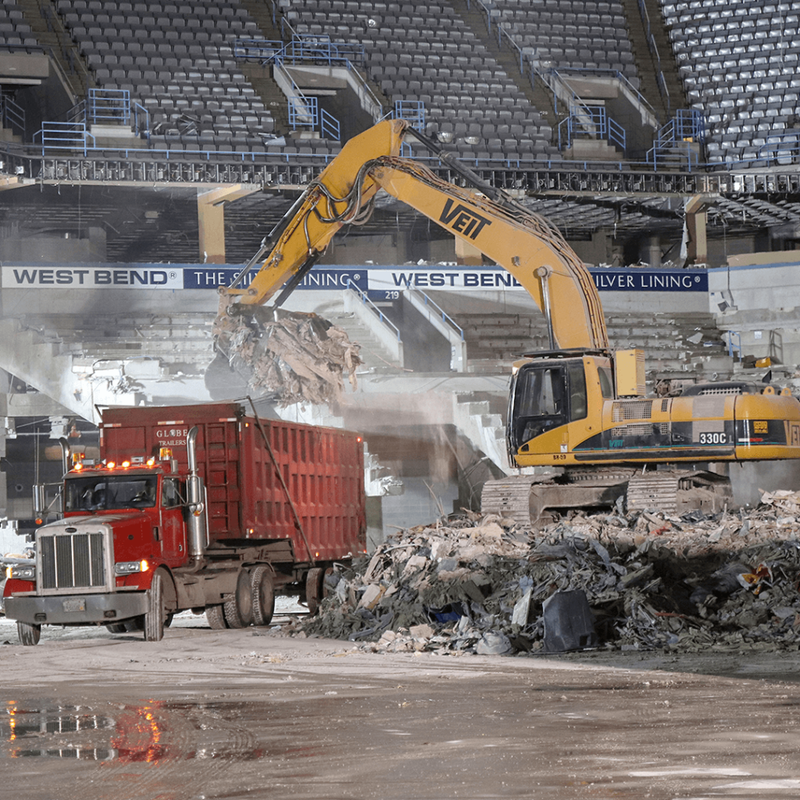 In mid-December Local 139 got an inside view of the Bradley Center to see members Larry Brisighella, Joe Mc Ewen and Cody Kruse working on demolishing and separating various material to recycle. 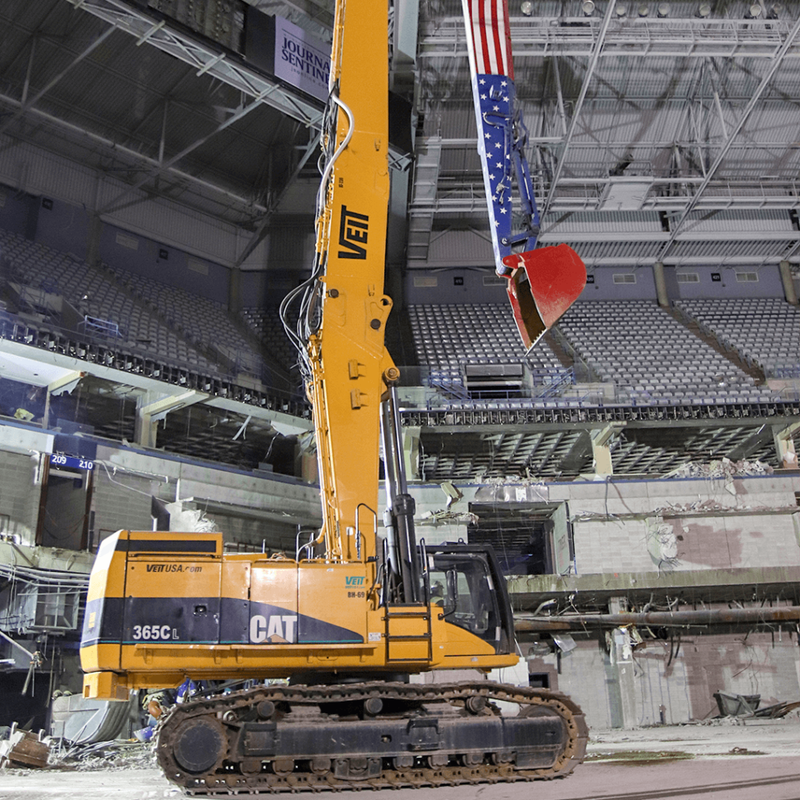 Member Joe Mc Ewen operating a high reach excavator. 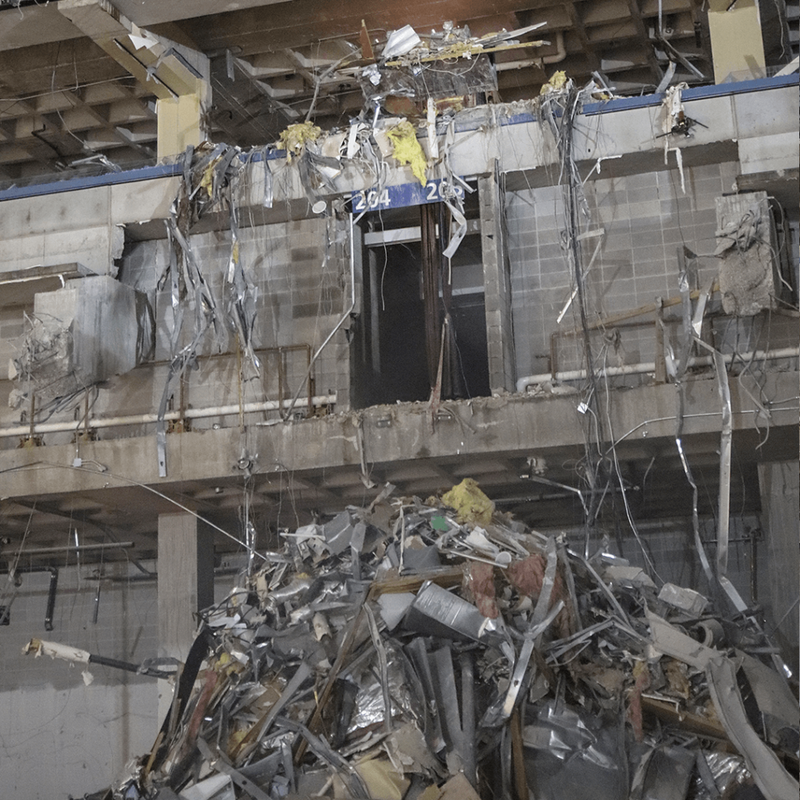 Member Larry Brisighella works on separating various material to recycle. 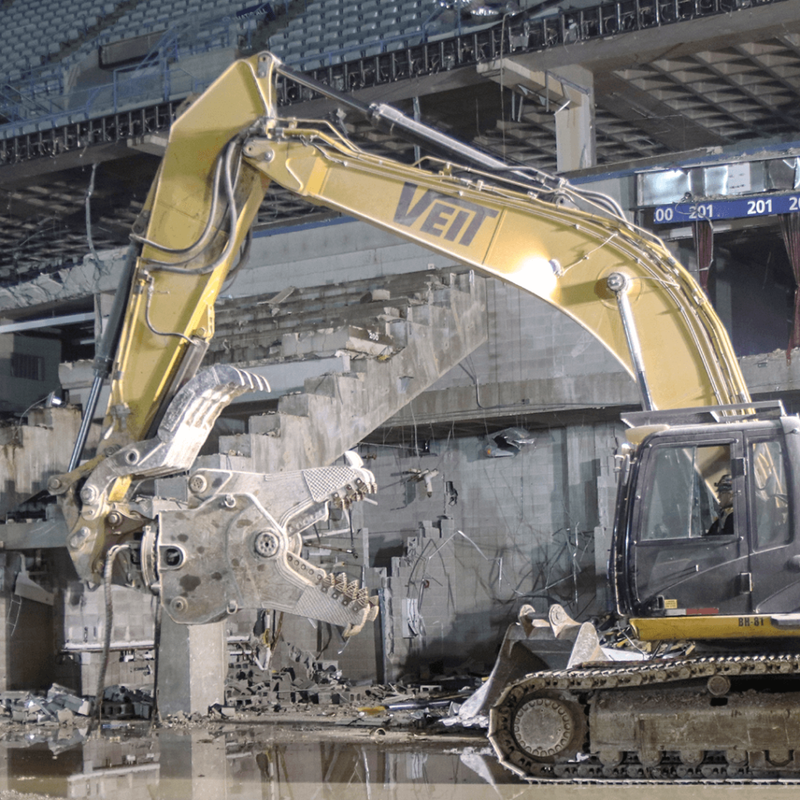 Member Joe Mc Ewen operating an excavator with a processor to munch concrete and separate rebar. 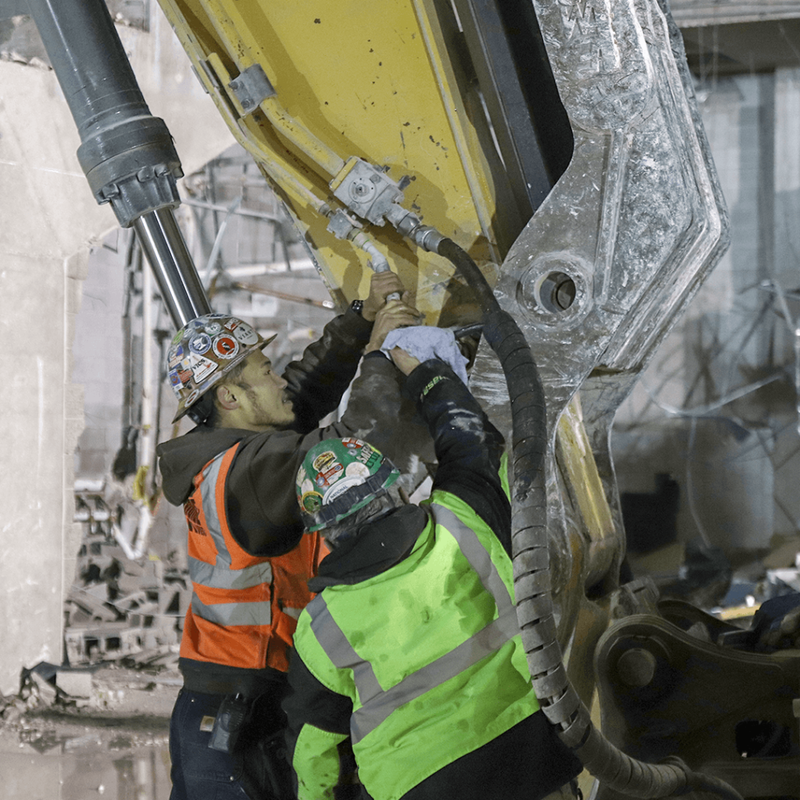 Member Joe Mc Ewen helps hook up hydraulics on the processor. 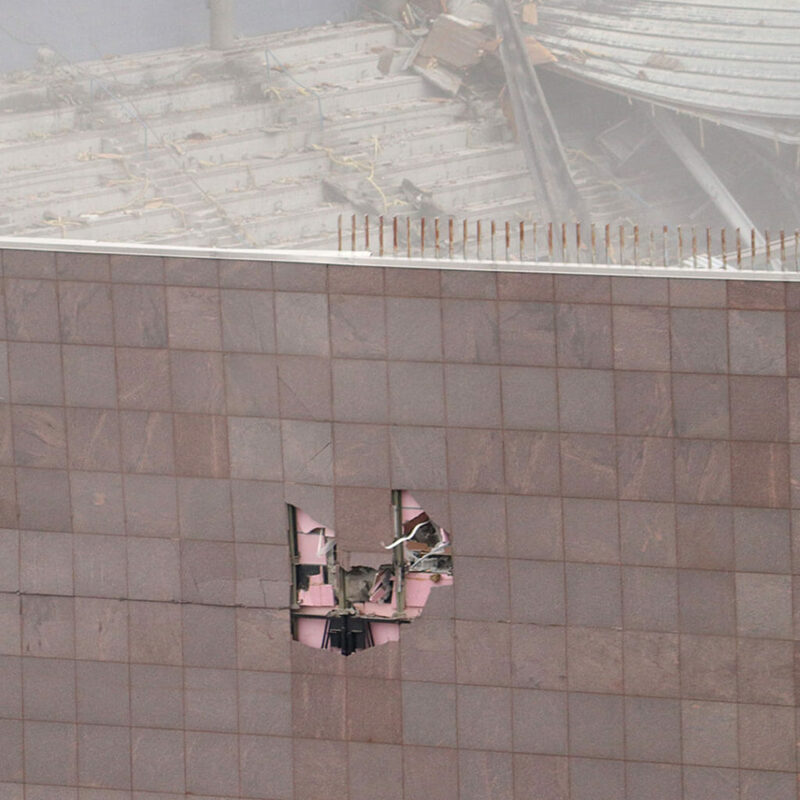 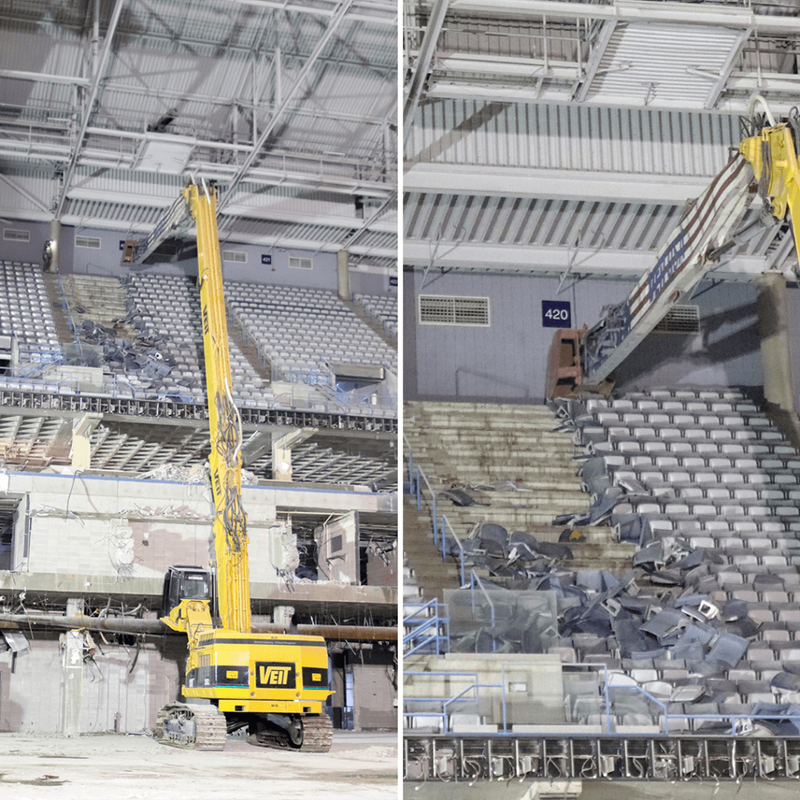 Various material to separate is pushed from the upper level. 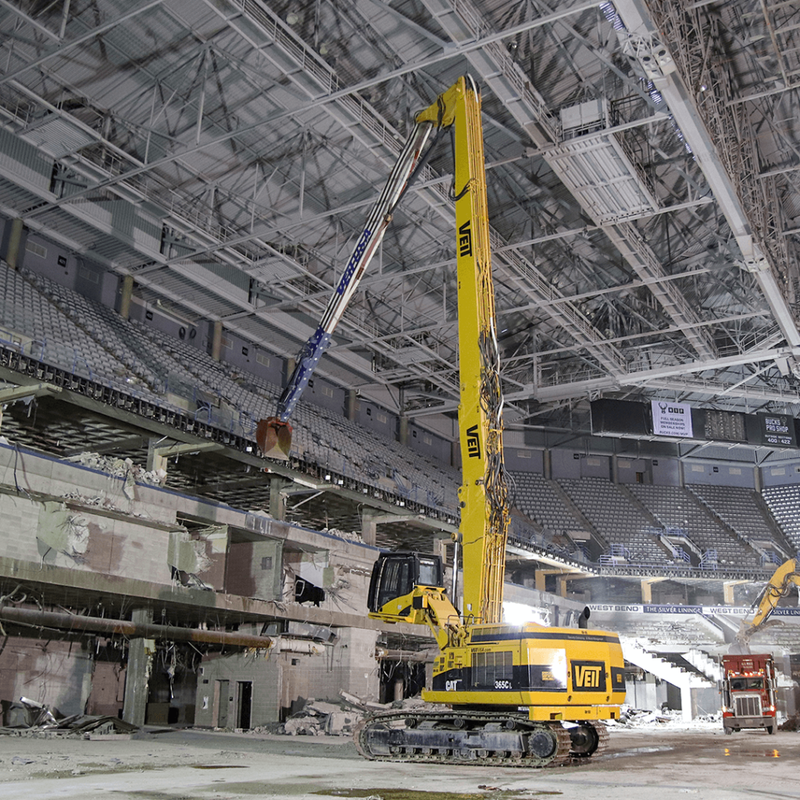 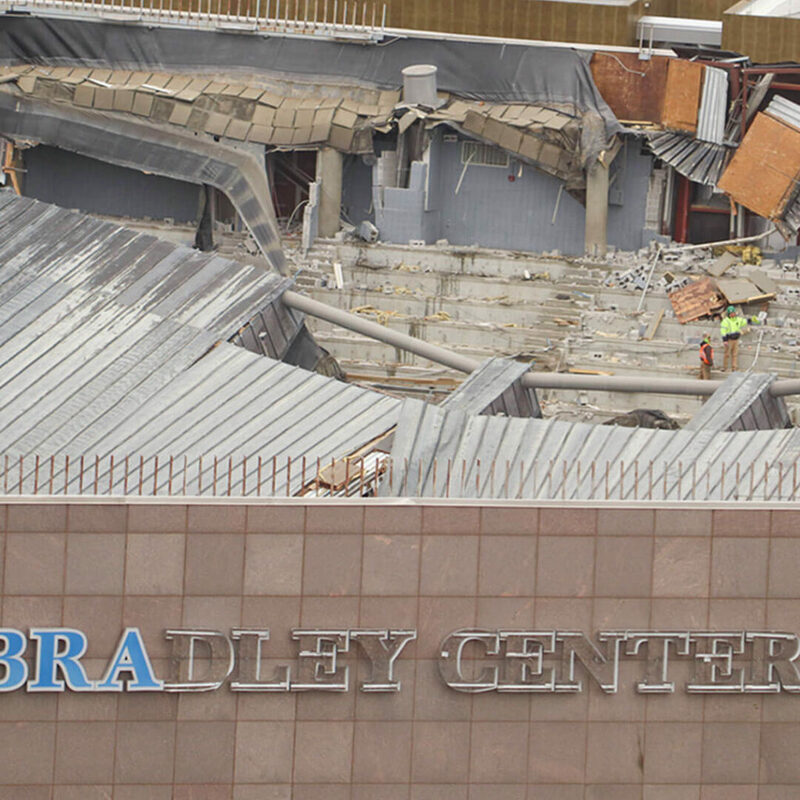 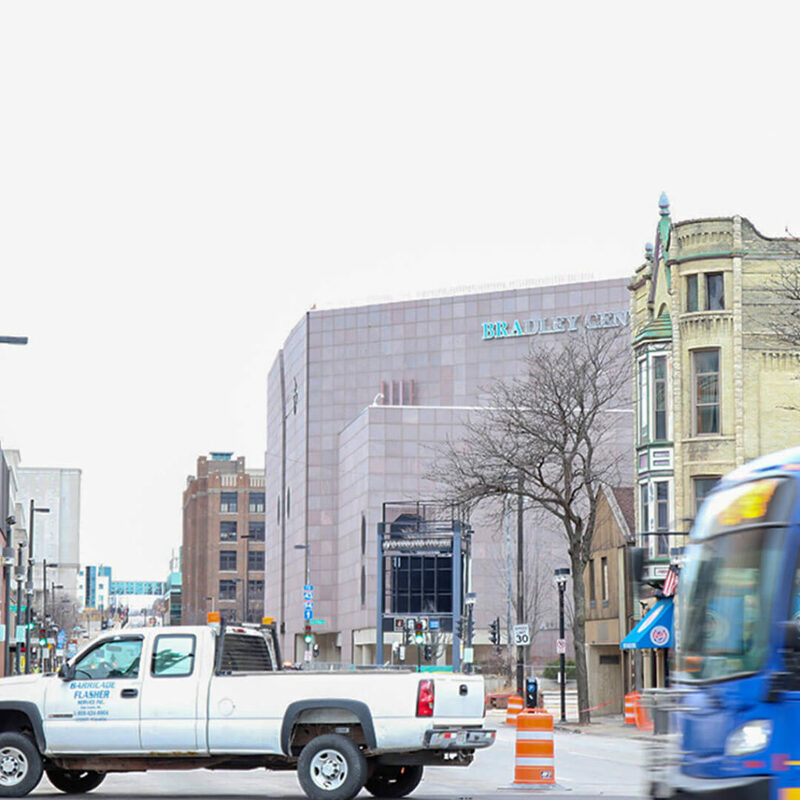 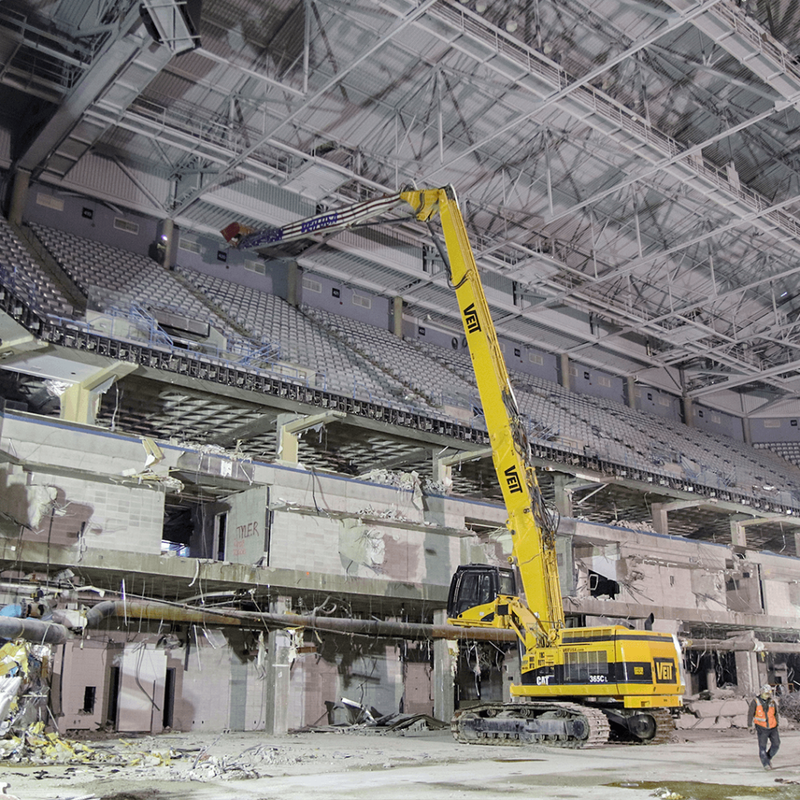 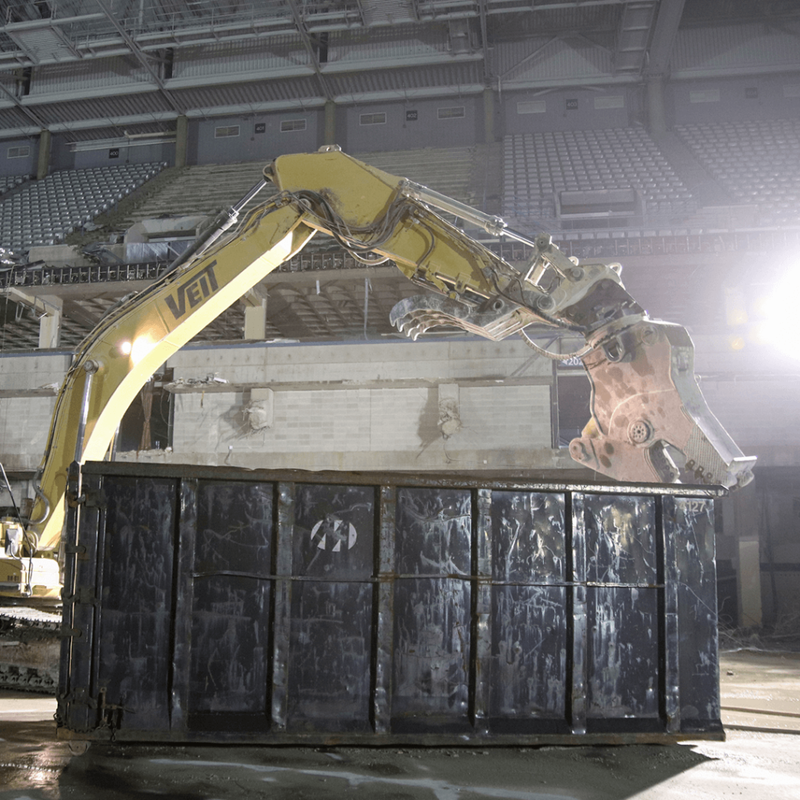 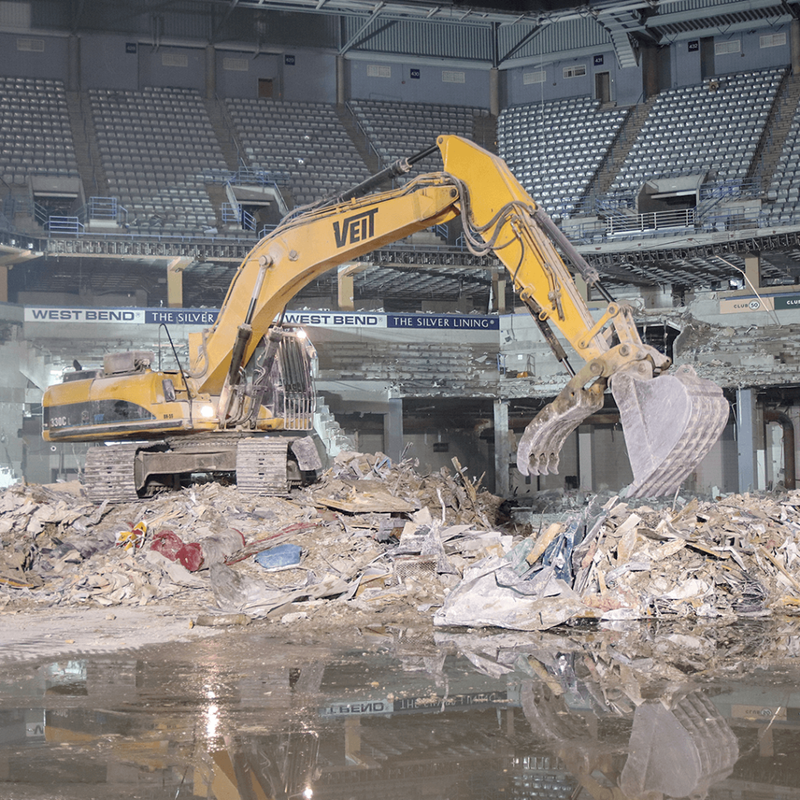 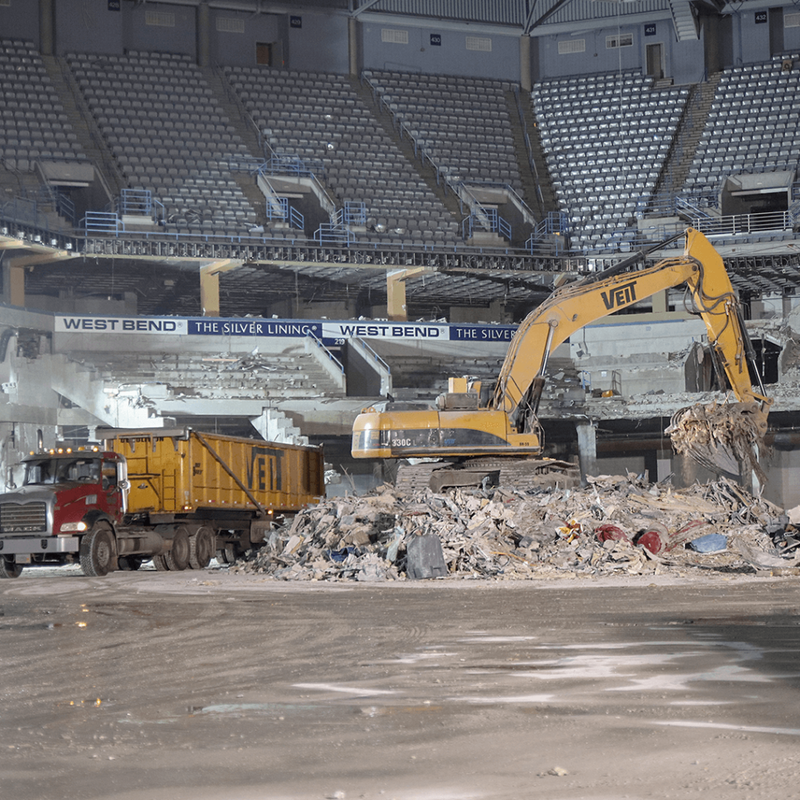 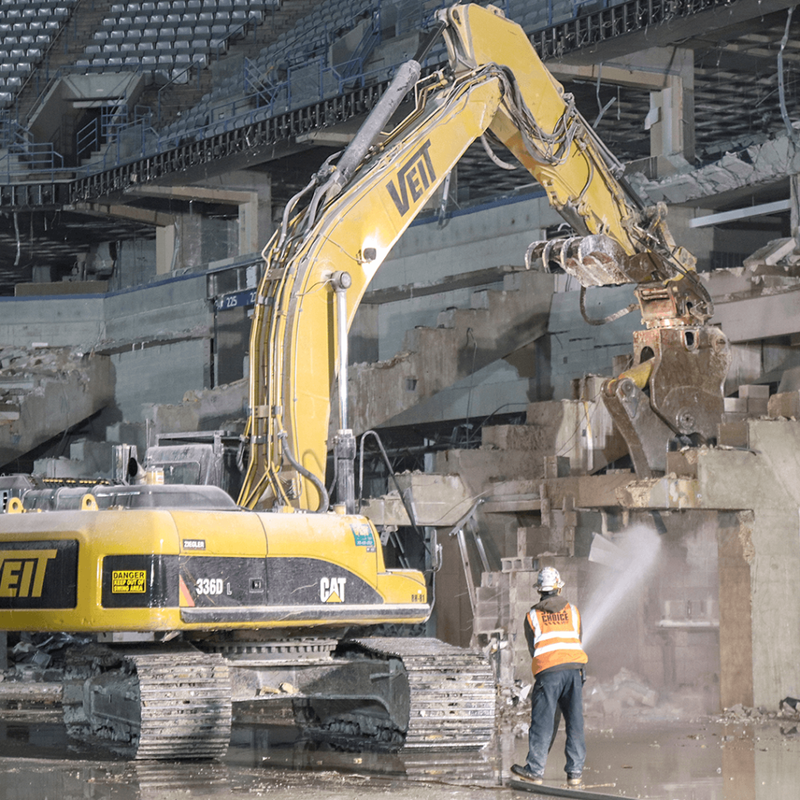 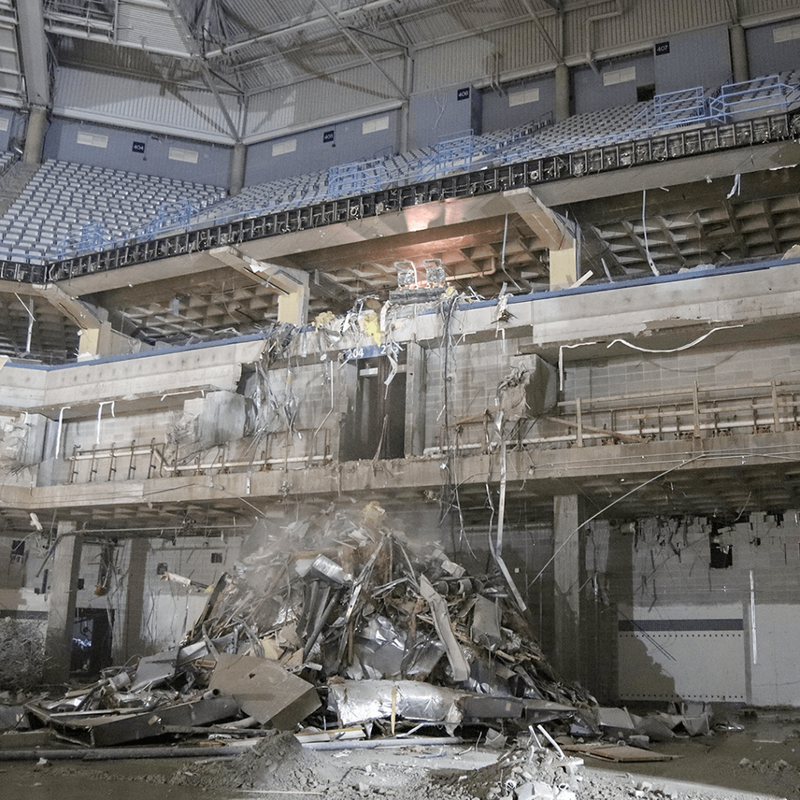 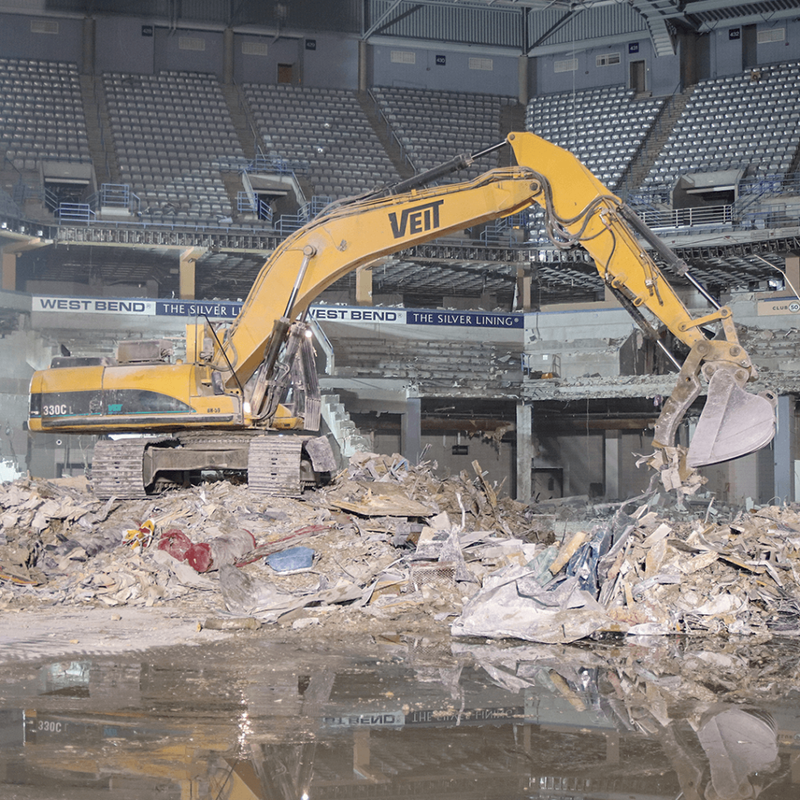 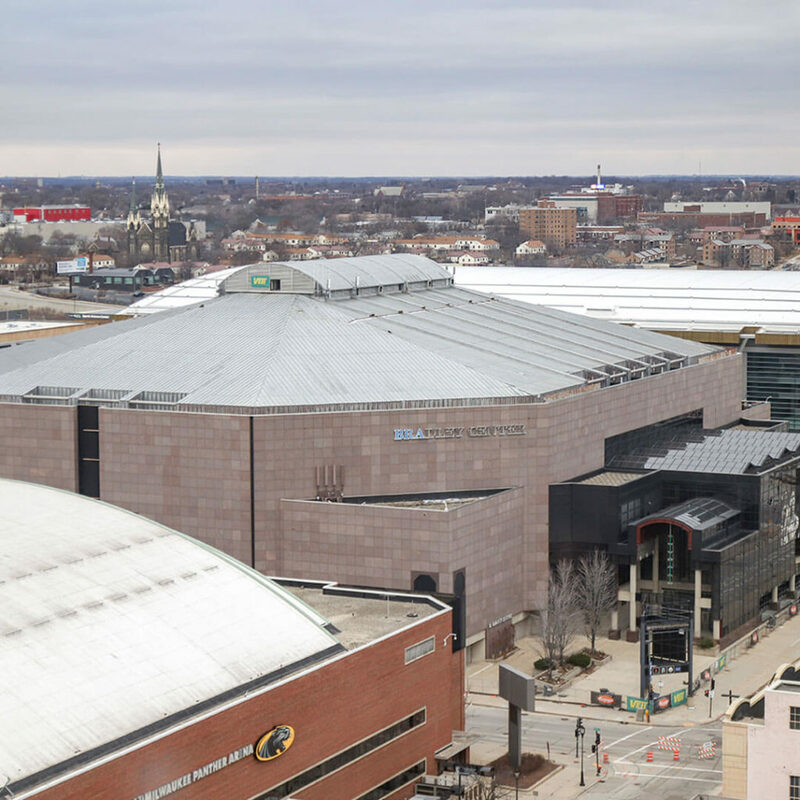 Veit & Company, Inc is proud to be working in the demolition of the Bradley Center in Milwaukee. 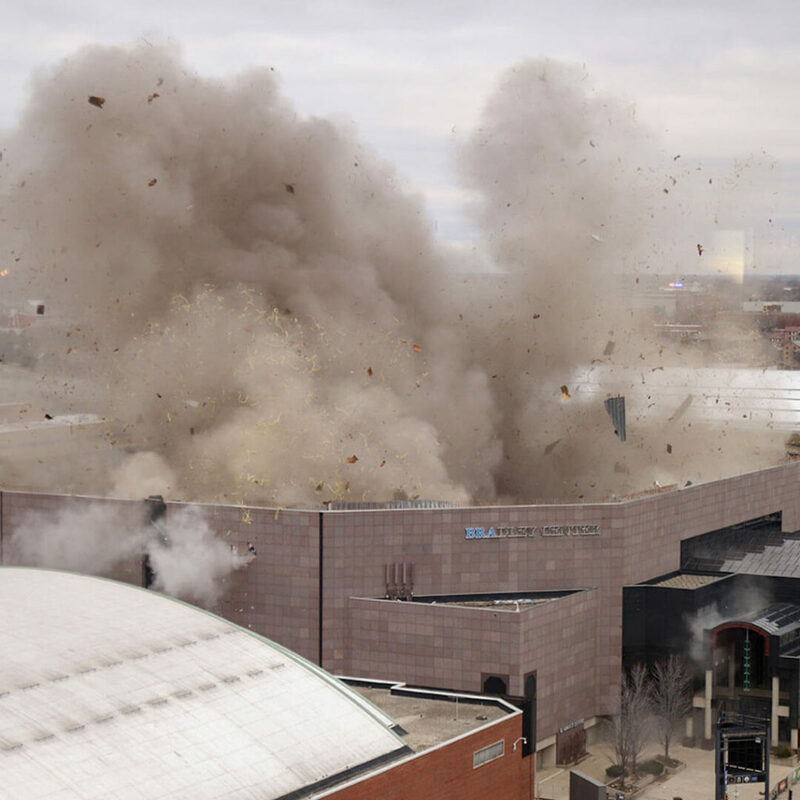 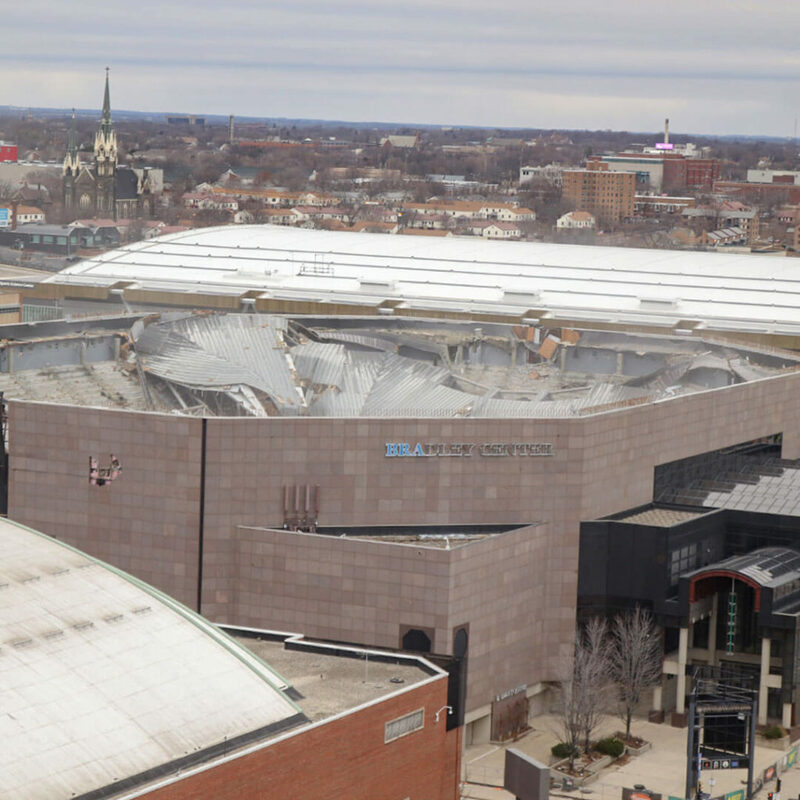 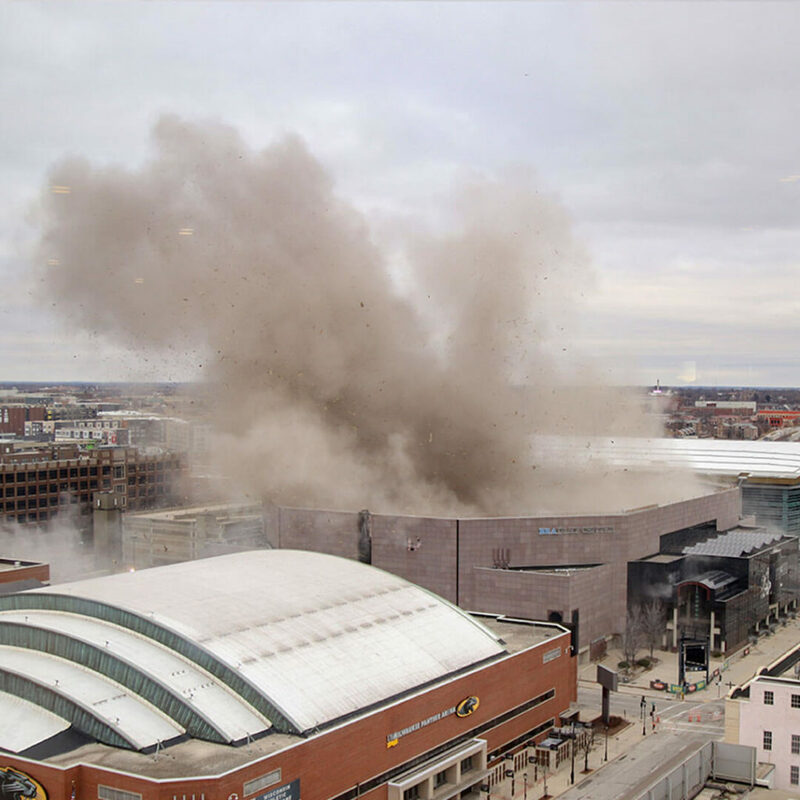 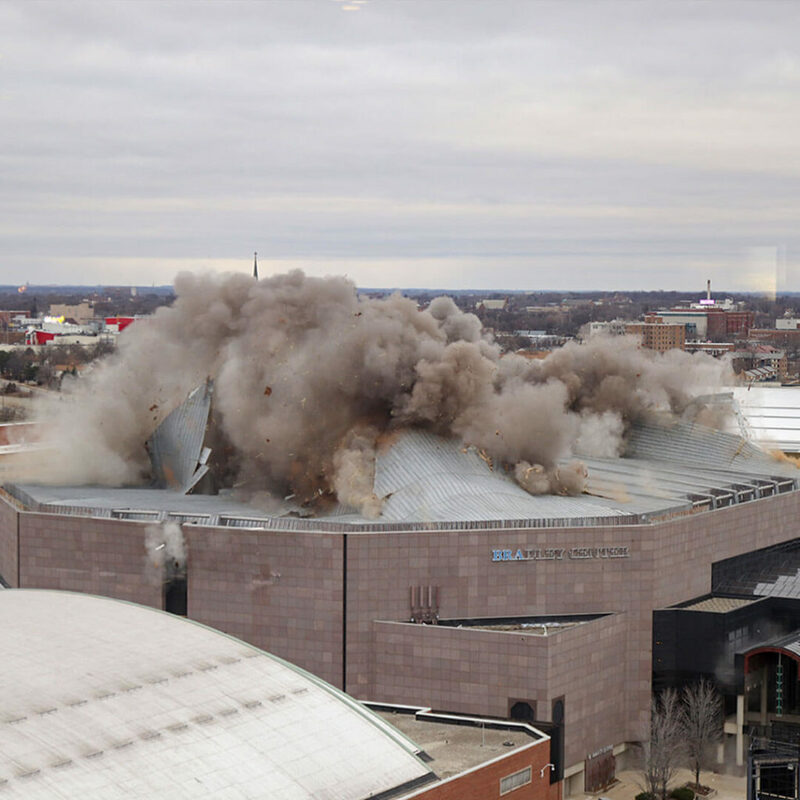 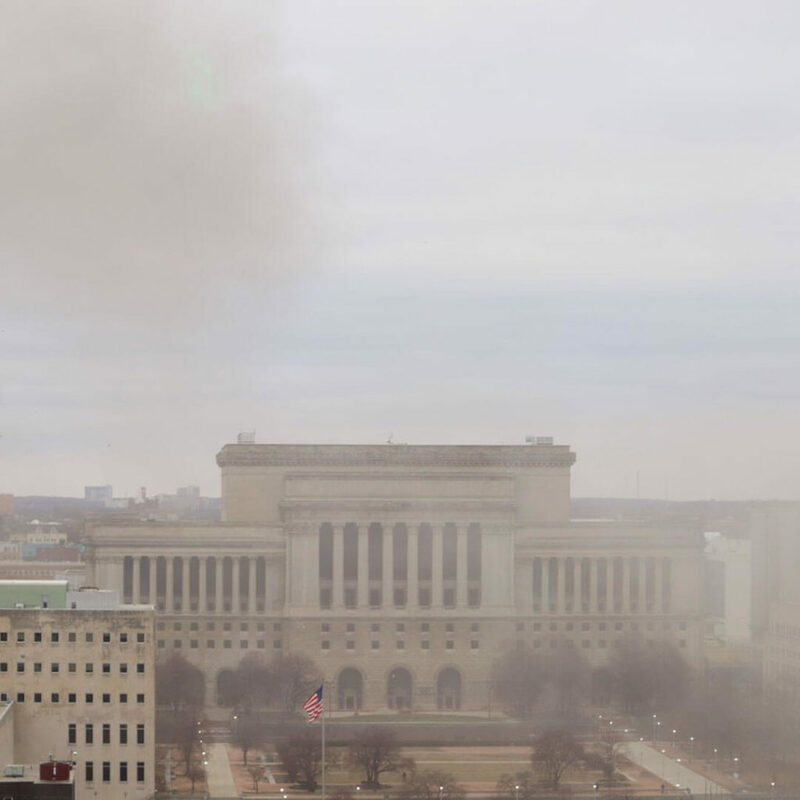 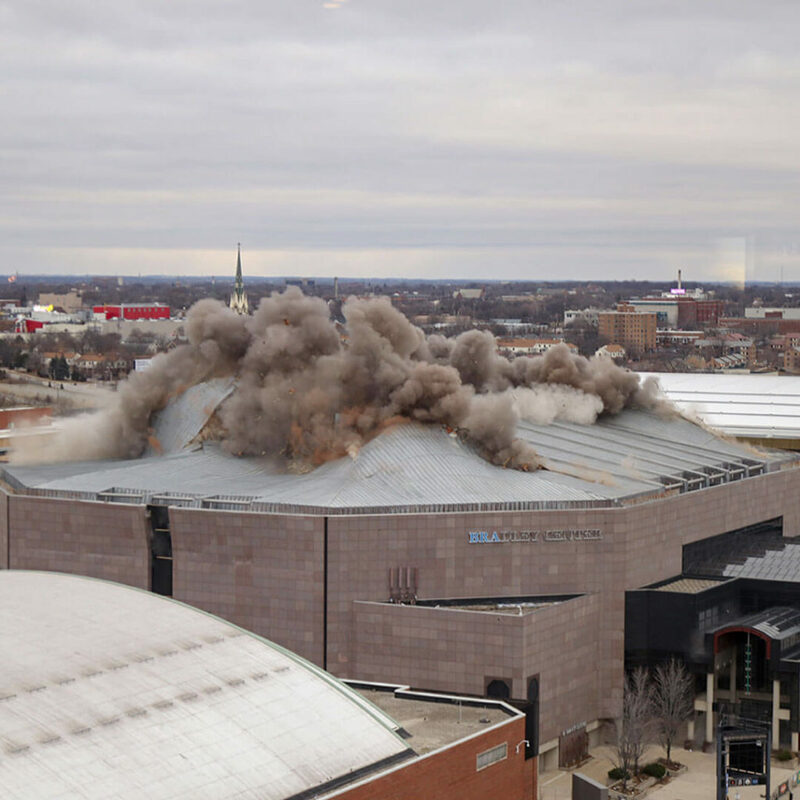 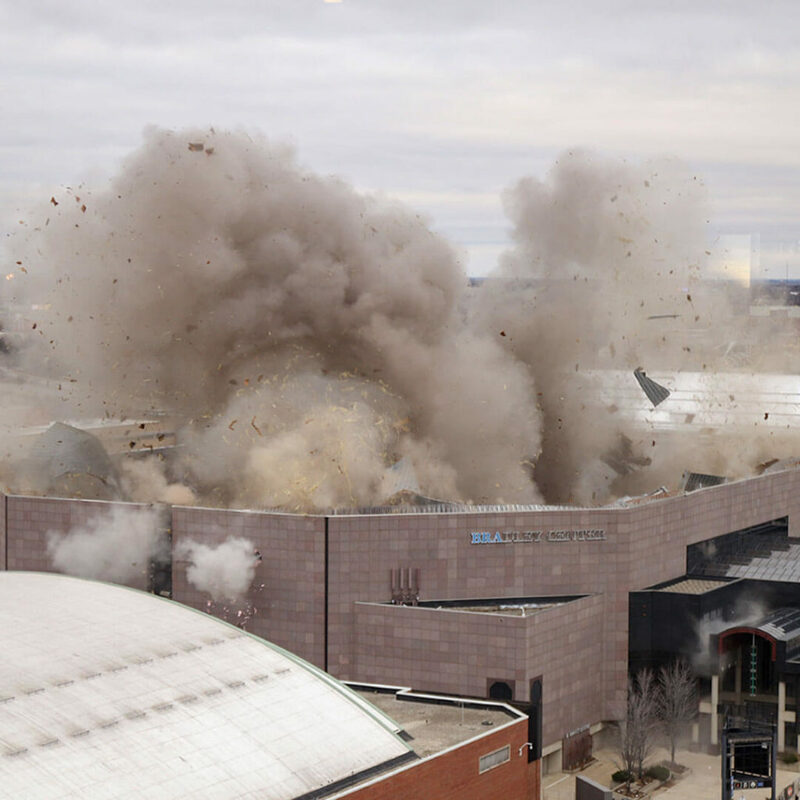 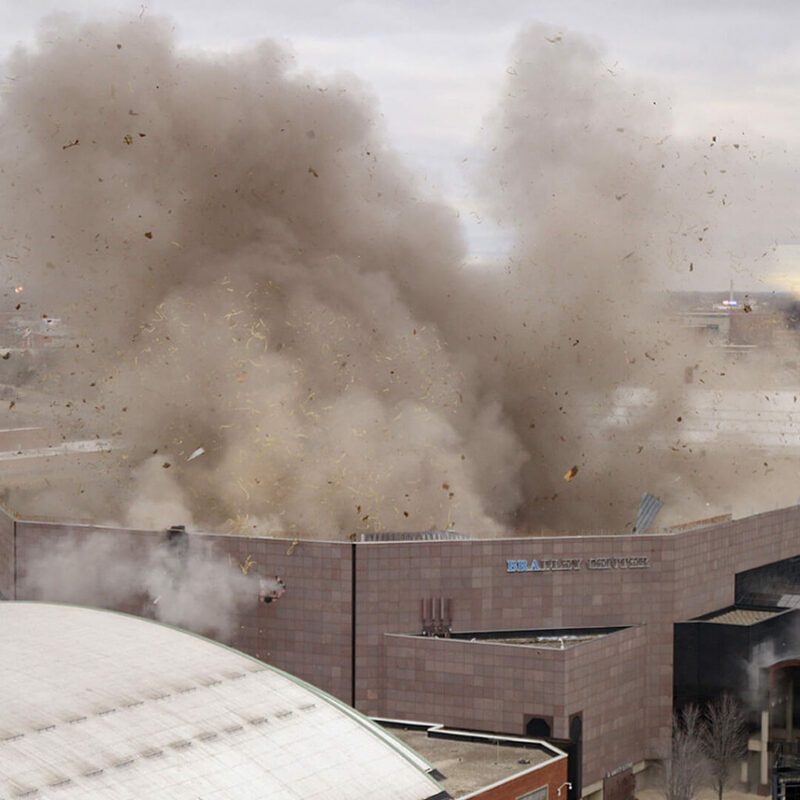 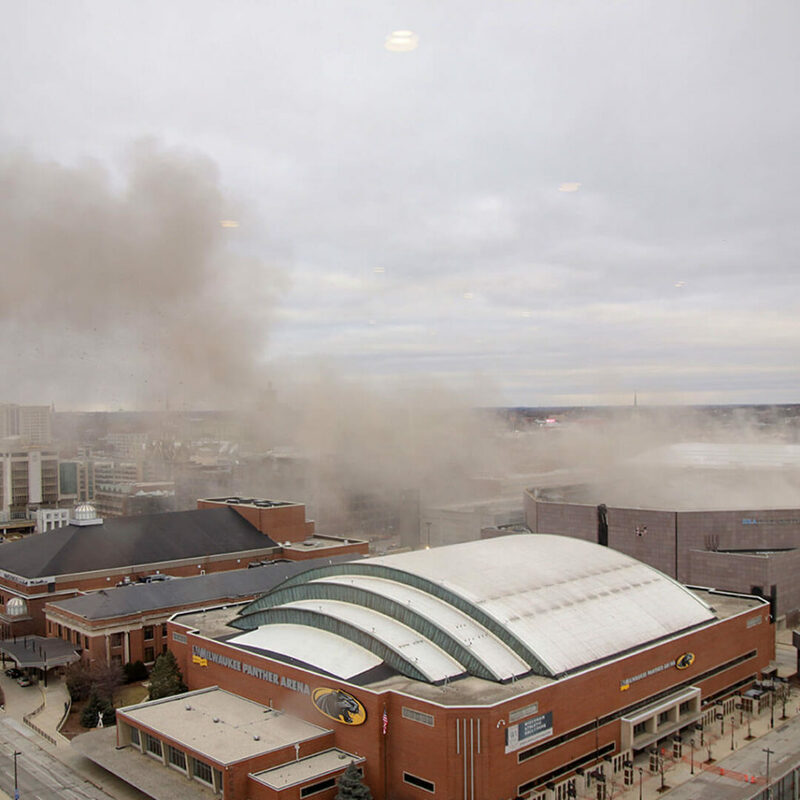 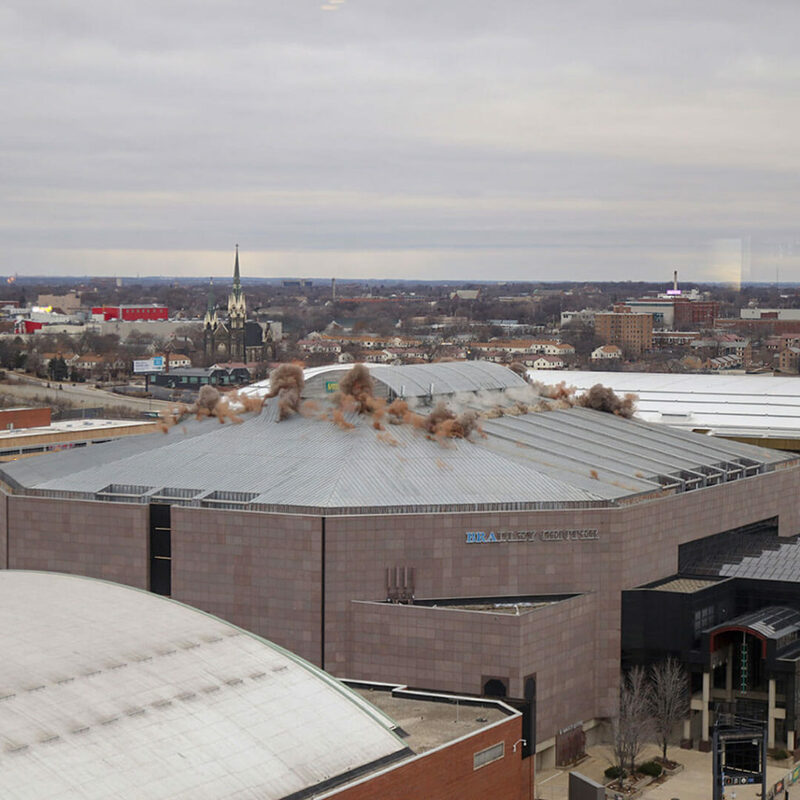 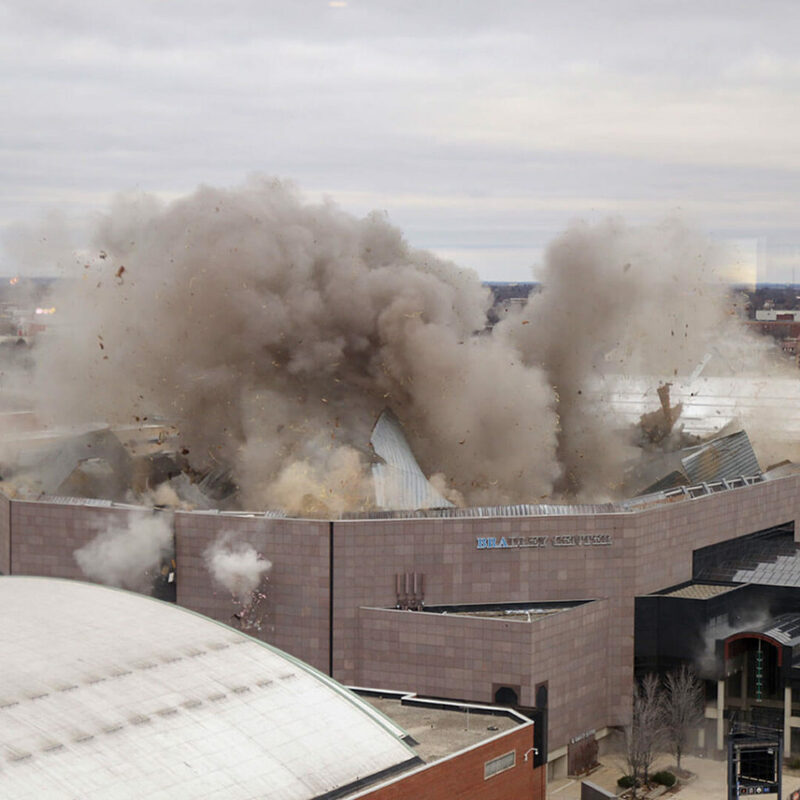 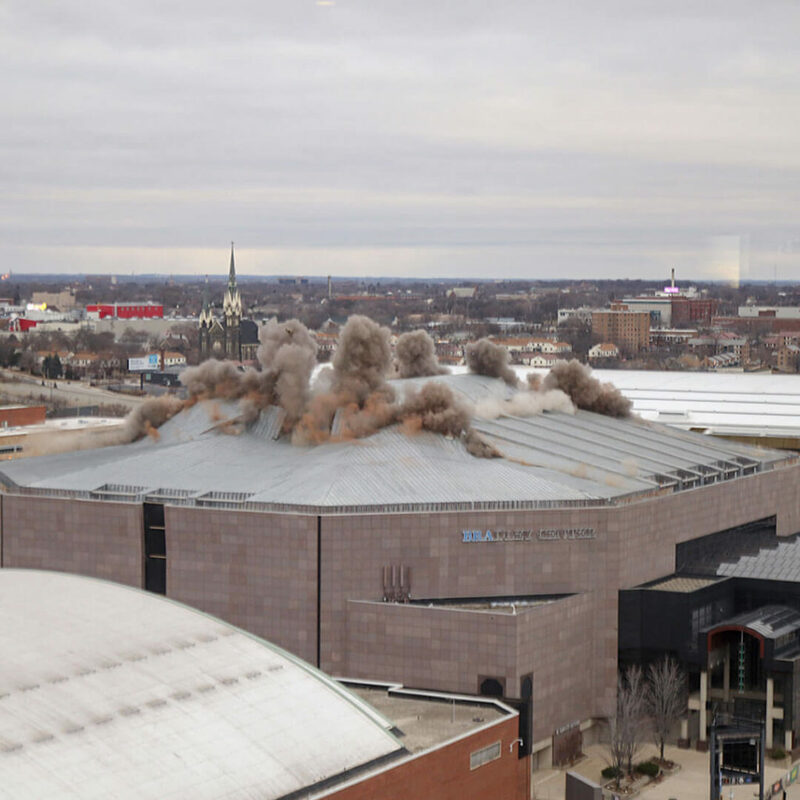 The Bradley Center roof implosion on Sunday, January 13, 2019, in Milwaukee was epic. 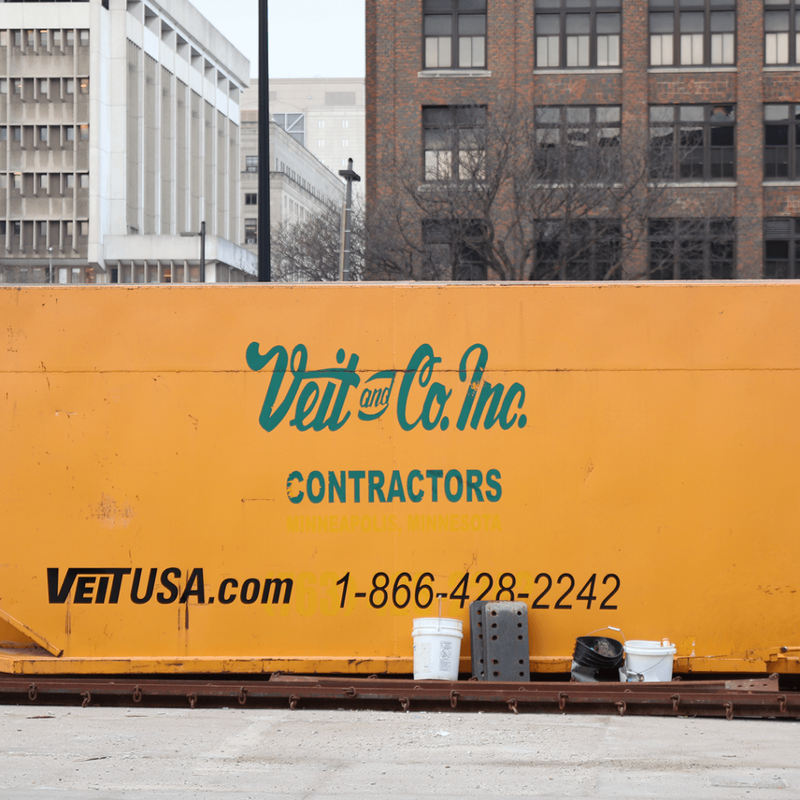 Local 139 is proud to have multiple members employed by Veit & Company, Inc on the project. 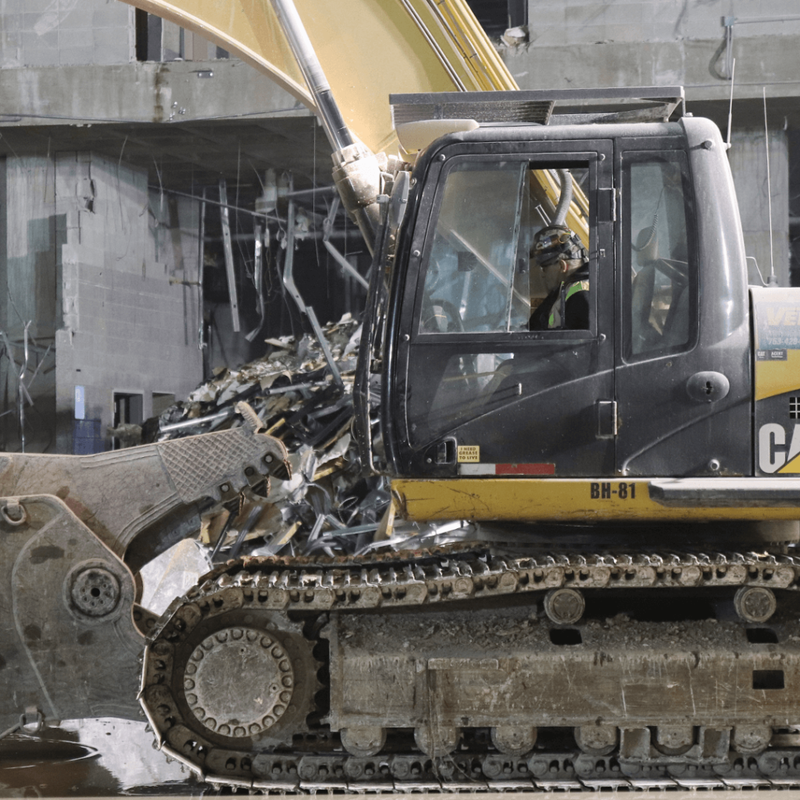 Operators onsite; Bruce Bement, Dan Kottle, Dave Kruse, Cody Kruse, Rodney Calo, Joe Mc Ewen, Justin Conwell, and Larry Brisighella.